My husband and I recently bought our first home. We were so excited about our purchase but were absolutely dreading the moving process. The master bedroom in our new place can be reached only by a metal spiral staircase, and the ceilings are 25 feet high. Carrying our solid wood furniture up into a loft seemed like a daunting task. After drafting a lot of pro-and-con lists, we finally made an executive decision to hire a moving company. Saving money wasn’t worth the risk of hurting ourselves or damaging our furniture. After considering several companies, we landed with one (based on the low price and quality promise) and crossed our fingers. What could possibly go wrong? They were insured, right? They had great references. About halfway through moving day, I realized our situation paralleled the way projects are managed at Innovative Learning Group. One thing that’s really important to ILG, and something we strive to achieve for every client, is completing each project on time, on budget, and with high quality; truly delivering what we promise. I had these same expectations for our moving company. When I signed the contract and paid the deposit, the movers gave me a price quote, along with an estimated window of time to complete the job. They promised that my furniture wouldn’t be damaged and that quality was of the utmost importance to them. Wow, this sounded familiar. On the day of the move, the guys arrived on time. Their first step was to complete a full walk- through of my house to assess the amount of furniture and boxes (much like we review resources and content provided by our clients before drafting a proposal and quote). They wrapped each piece of furniture, packed up the truck, and headed to our new home. I’m not sure how, but these three men miraculously got our furniture into the loft unscathed. There wasn’t a single damaged area on any item. When they gave us the bill at the end of the day, the price was exactly what I’d been quoted a week ago. We paid the bill, signed the receipt, and said goodbye to them at almost the exact time they had originally estimated. I’m not sure why I was so shocked that the movers were able to uphold these standards. Maybe I have had one too many bad experiences working with a service provider? The entire experience, however, solidified my belief in the way we do business at ILG. 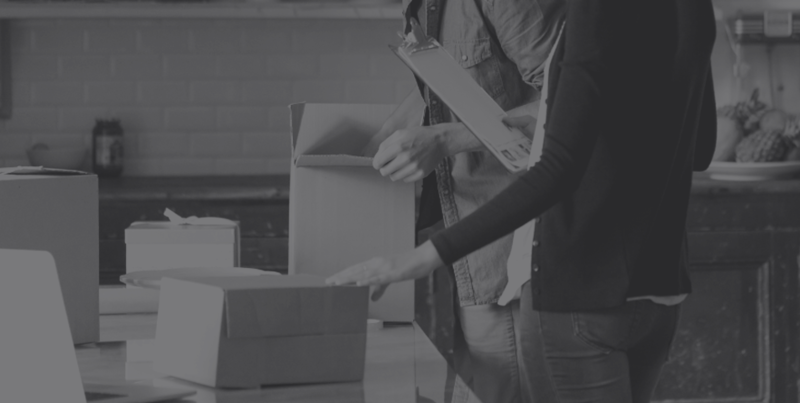 When new clients come to us with their learning and performance improvement needs, they probably have many of the same fears and hesitations that I had about hiring a moving company. Although we aren’t dealing with their personal belongings and furniture, developing an e-learning course or a performance improvement solution that aligns with their business results is just as important. Clients expect us to deliver a quality product that is on time and follows the schedule and budget we provided to them. It’s so important to deliver what was promised. I’m extremely thankful to the movers that gave me that experience. Have you recently had any notable experiences working with a service provider? What made them stand out? How true: excellent customer service is of the utmost importance, no matter what goods or services you’re buying! My husband and I are having a similar excellent experience with the company remodeling our bathroom — a pleasant surprise after all the horror stories I’ve heard about remodeling contractors. As service providers, we always need to put ourselves in our clients’ shoes! So happy to hear that you’re having a great customer service experience with your contractor! It speaks great volume to the service provider you chose. Putting my client “hat” on really put things into perspective and I’m glad that excellent customer service is a priority here at ILG.